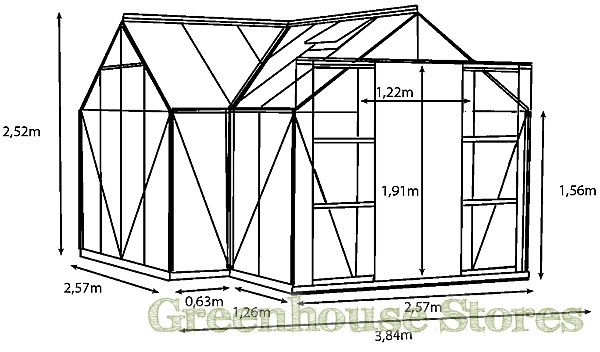 3840mm (12ft 7") Wide Aluminium Greenhouse - Spacious and Practical. 3mm Toughened Safety Glass - Full length toughened glazing. 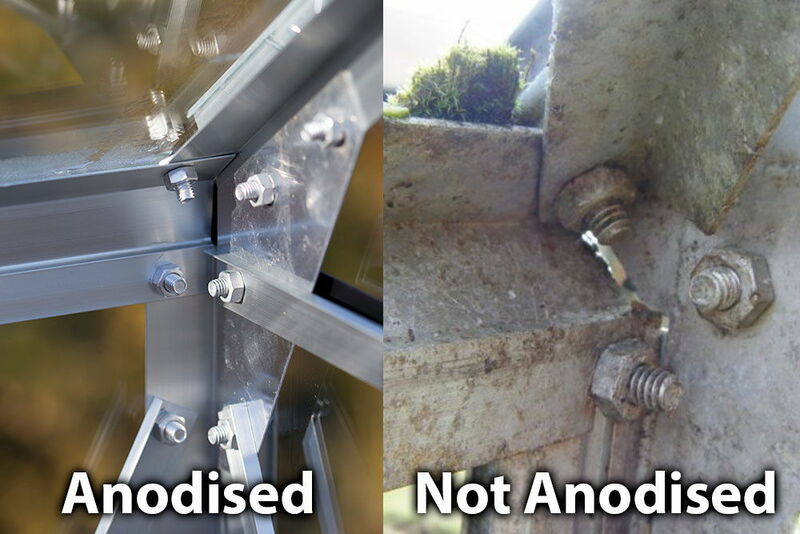 Galvanised Steel Base Included - Gives Rigidity and Strength. Base Corner Posts - You can place this greenhouse on any surface! Bar Capping Glazing System - Holds glass in place without fiddly clips. The Vitavia Sirius Orangery Greenhouse is beautifully designed to give you an attractive greenhouse with loads of space for growing or just relaxing, or both ! 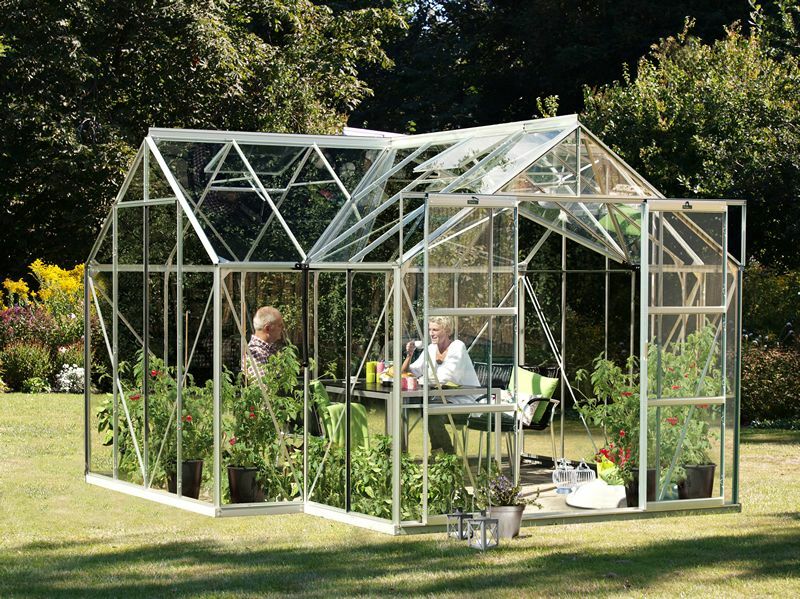 The Vitavia Sirius Greenhouse is a superb model that will produce great results year after year and with it’s anodized frame it will stay looking shiny and new throughout it’s life ! This Sirius has a 4 opening roof vents for ventilation, a smooth sliding double door and integral gutters.